The Local Plan is not just about building 6,000 homes in the borough, it incorporates plans for Melton town centre, business needs and employment land, healthy communities and tourism whilst identifying how important countryside, ecological and heritage features will be protected and enhanced. The Draft Local Plan is a comprehensive plan to provide additional homes, together with new jobs, to meet the needs of the whole borough for the next 20 years - including incorporating plans for a bypass! 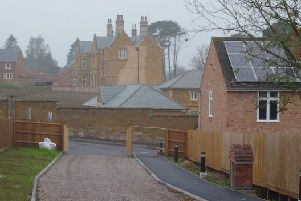 It is proposed that 65 per cent of the new homes will be built in Melton Mowbray itself as part of two new neighbourhoods providing new primary schools, community facilities, local shops, job opportunities and new link roads which will help relieve traffic congestion in the town centre. The link roads will have to be provided to access the new neighbourhoods as part and parcel of the overall developments. Melton Borough Council is working with Leicestershire County Council to identify the best route and funding opportunities to connect the link roads. This will deliver an outer relief road which will be built by 2036. Please do get involved and let us have your comments by April 4. We will be available at the Market stall on Saturday, March 26 if you wish to discuss anything.